Music has long been a positive force in Jeff Wallace’s life. The day he received his first Beatles record, the sounds and smells of his early concerts, and the thrill of buying a set of Technics 1200 turntables are all memories he savors. From interviewing his idols to organizing festivals for thousands of people to DJing at clubs, bars, and even some “cool” weddings, Jeff (aka DJ J-Wall) lives for musical experiences. The move from journalist/blogger to event producer to open-format DJ was a natural progression for J-Wall. Music has always been at the center. His love for classic rock, old school hip hop beats, and funk has expanded into a boundless quest to mix almost every genre, often in the same night, and with the fun challenge to keep the flow as seamless as possible. From slumming it in local dives to being a regular on the Boston-craft brewery circuit to spinning at the Paradise Rock Club for his third consecutive Jameson Bartenders Ball, DJ J-Wall puts both the client and the crowd first. Currently he holds down a Thursday-night residency at The Druid in Cambridge, now in its fourth year, a Monday residency at The Milky Way in Jamaica Plain, and is a regular at the legendary Boston-club Good Life, having spun the award-winning Fresh Produce party multiple times. 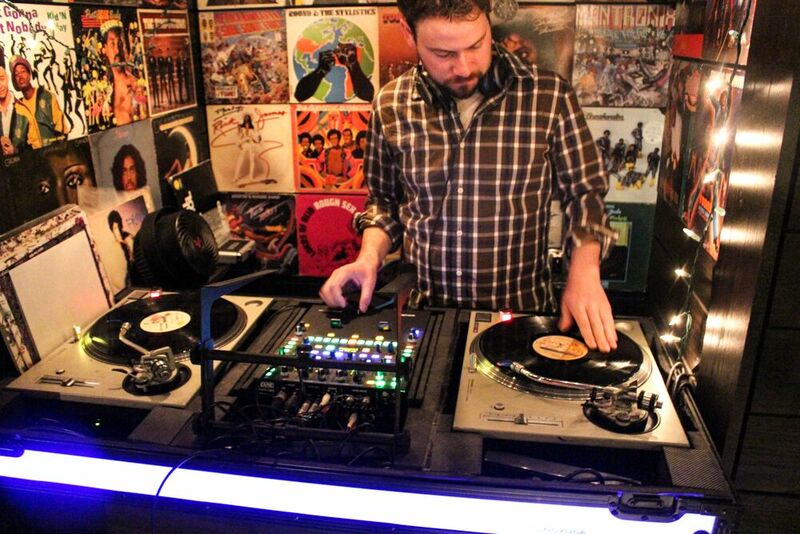 He is also one of the few DJs regularly on the Night Shift Brewery and Aeronaut Brewery lineups. DJ J-Wall lives for gigs in alternative venues that aren’t obvious DJ spots. The most rewarding gigs can be the most unlikely ones. Boston is a rich music town with many unique venues that encourage you to yourself. With that attitude in mind, J-Wall curates the music program and books the DJs at Brass Union, a cool restaurant/lounge concept in Somerville, MA. In that role, he has worked alongside dozens of highly respected DJs, many of which have helped him to expand his own chops and build upon his musical IQ. The way people react to music is always evolving, and that’s what motivates DJ J-Wall to keep digging for that perfect music-driven experience.